I'm new at using Xbee and I would like to get some help on how to interpret API packets. Me setup consists of two arduino unos, two xbee S2, two xbee shields and a one magnetometer sensor HMC5883L. The sensor is connected to the arduino via I2C and transmitting the data to the xbee (router) using serial communication. On the other side (coordinator) I'm reading and displaying the data on the serial monitor. I have read the data sheet of the xbee but I still can't figure how to interpret the packet. 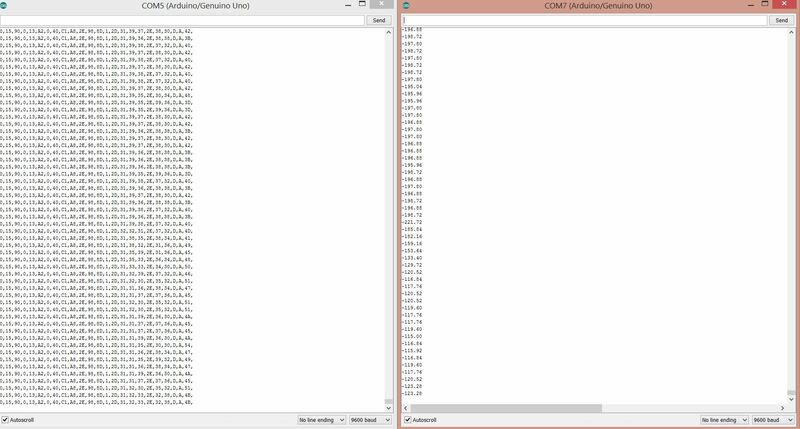 Here is a screen shot of the values that I'm getting on the serial monitor on the router and the corresponding packets on the coordinator's serial monitor. There are four bytes that are changing each time so how can I translate them to an integer value. Any help would be greatly appreciated. You have a bunch of "stuff", followed by the data you sent, followed finally by another bunch of "stuff". I don't know what the "stuff" is, but I can see and decode your data easily enough. I suspect you transmitted the data using .println(...). That will send an ASCII representation of the data. So you have 14 bytes defining something interesting about the packet (I'm sure Google can tell you what - source and destination maybe, probably a packet length too), then your data, and finally what looks like it's probably a checksum. Not the answer you're looking for? 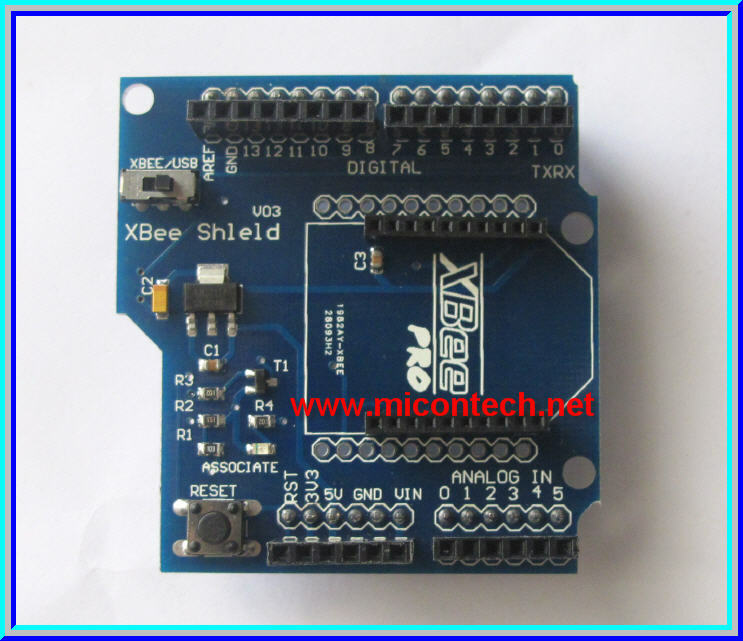 Browse other questions tagged arduino-uno serial xbee or ask your own question. How does coordinator XBee receive data from router? How will Arduino communicate wirelessly through XBee? How to send command from coordinator to router in Xbee?